Tag Archives for " Clayton Wood "
It is guest post day here at Duct Tape Marketing and today’s guest is Clayton Wood – Enjoy! Visual media is emerging as a very important and powerful tool in online marketing. A survey released recently shows the presence of images as one of the deciding factors for clicking on search results. According to the survey done by Search Engine Land and SurveyMonkey, it is the fourth most important deciding factor, coming in after brand name, promos and discounts offered, and free delivery. This, along with the growing popularity of image and video-sharing social networks among users, presents a ripe opportunity for marketing in a way that entices multiple senses of your target audience. Don’t publish text-only blogs – as much as possible, include at least one image about your chosen topic. Pay attention to the visual media you use on your website. The colors, the fonts, the images, and the videos all trigger reactions from your visitors. Combining knowledge of the psychology of colors and design and an understanding of your market’s interests will help you design a website that appeals to your market. Brainstorm regularly to determine what images work for your brand and what trends you can turn into visual media. Creating a calendar for Hangout sessions, webinars, new video tutorials, infographics and other downloadable images organizes your visual marketing efforts. Use visual media for your online content wherever appropriate, and brainstorm what types of media will work for your campaign. With so many visual media platforms to choose from, how do you know which ones to use in your campaign? The answer will vary depending on your needs. Pinterest is quickly becoming a popular and powerful visual media platform for many brands because of its improving features. It allows you to share different types of media, provides easy social media integration (by way of Facebook and Twitter), and allows for easy integration in websites (through the “Pin It” buttons, which are equally easy to install on your website pages). Its other features, like turning on location for pins, testing Promoted Pins, and creating an API that allows you to show your most popular pins, are all geared towards online marketing. If you’re not yet on Pinterest, or if you have a profile but you don’t use it often, it’s time to revisit your visual marketing strategy and include Pinterest. Your target audience – How big a presence do they have in your chosen platform(s)? Integration – How does the platform let you integrate its features with other social media sites? Old school graphics and fonts are already available in digital formats. You can easily download these to your computer and use it when designing your content. One of the easiest ways to transition old to new media is to take a high-res photo of old media and post this as your update. Something as simple as a note scribbled on a note pad gives off that old school feel some of your audiences respond to more eagerly. For one of our old re-targeting ads, we decided to use a design that contains elements of the flags of our three largest markets: the US, the UK, and Australia. The great thing about the platforms that support visual media is that they also support user interaction. This allows you to include your audience in the content production process, increasing your engagement by encouraging audience participation in activities and programs you prepare for them online. 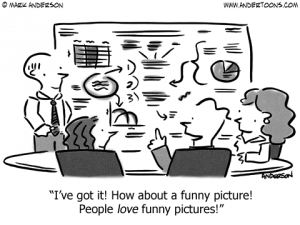 Get your audience to share their original visual content through different promotions. Facebook is a good example of a platform that makes it easier for you to include your audience in different visual content marketing activities. It wasn’t too long ago that they made the creation of contests, especially photo contests, easier for brands, and made joining easier for individual Facebook users. Their latest move to make visual content marketing easier is testing a new way of displaying video ads that encourages more user interaction. Combining these features with your social media strategy encourages more engagement and interaction from your audience. The trick to using visual media for marketing is very clear in the points discussed earlier – it’s less about you and more about your audience. Finding your audience, knowing what they want to see (whether it’s a short video, an image-on-demand, or an infographic about your topic of expertise), and communicating with them using visual media is the core process to delivering more targeted and powerful visual content. Use this with your online marketing strategy and you’ll see more positive responses from your audience in no time. 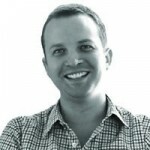 Clayton Wood is passionate about communicating the impact that technology has in online marketing, and how inbound marketing helps small and large businesses achieve their goals for themselves, their families and their communities. 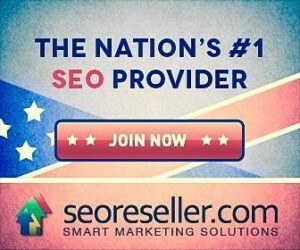 Working with SEOReseller.com, he helps bring brand equity to many seo agencies.